Neither anybody is a friend of others nor enemy. Need (or situation) itself makes them friend or enemy. 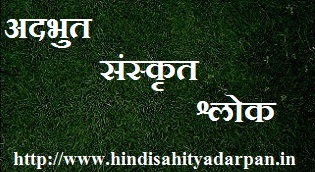 हिंदी साहित्य मार्गदर्शन: न कोई किसी का मित्र है और न ही शत्रु | Incredible Sanskrit Shloka About Being Friend Or Enemy.